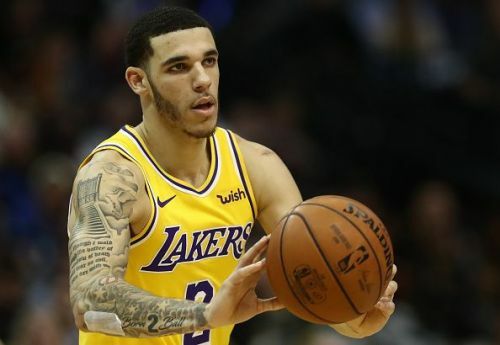 Lonzo Ball has not played since suffering an ankle sprain during the Los Angeles Lakers January 19 loss to the Houston Rockets. The injury initially ruled Ball out for 5-6 weeks, however, reports this week have confirmed that the 21-year-old is currently not close to returning to the court. Ball is in Los Angeles getting treatment, and Walton is not sure when his second-year point guard will return to action. Nope, they haven’t given me a date, they just said they are working with him and they’ll let me know. With the Lakers now refusing to even offer a timescale on Ball' return, it is clear that the young point guard has suffered a significant setback. Some reports have stated that Ball could miss another 4-6 weeks, and while this is still speculation, it is evident that the Lakers will be without Ball for much of the rest of the season. The Lakers have struggled immensely without their 2017 lottery pick, and Luke Walton's men currently face a huge challenge to reach the playoffs. The Lakers currently sit 11th in the Western Conference standings, and doubts also persist over the fitness of LeBron James. Due to this, the Lakers playoffs hopes could be over by the time Ball returns to full-fitness, and this means that the California native may have already played his last game in LA. Ultimately, the Lakers will include Ball as part of a summer trade package for Anthony Davis, and if the Lakers have nothing left to play for, Magic Johnson is unlikely to field Ball upon his return.